Soldering Quality and automatically changing the cartridge when the one being used wears out. For Automated Process and Heavy Duty Soldering. This Soldering Iron is controlled by the UCR470 Control Box and can be used in conjunction with R470 Heavy Duty Cartridges with their precise positioning system. The TRA470 mechanism is actuated by compressed air and this allows a fast and automatic cartridges exchange when cartridges worn out or when in the same soldering process different cartridge geometries are used. 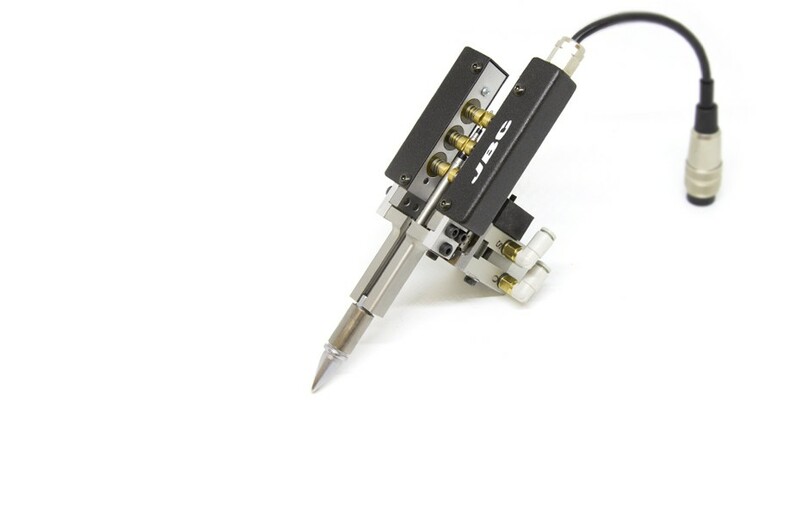 It can be used in combination with the Soldering Head RBA and the Automatic Cartridge Stand CS2R470.